In the previous pAsuram AzhwAr said that he has no ills. In this pAsuram he says that he has no equal. vaNNanE – Oh emperumAn who has the same complexion! thAnE thankkAvAn allAl – will be equivalent to himself. There is nothing else. maRRu – will you be my equal? vinnellAm uNdO vilai – even if all entities in SrIvaikuNtam get together, can they compare with me? enakkAvAr Ar oruvarE – Oh benefactor! In both vibhUthis (nithyavibhUthi – SrIvaikuNtam and leelA vibhUthi – materialistic realm) is there anyone who is comparable to me? Let it be so. 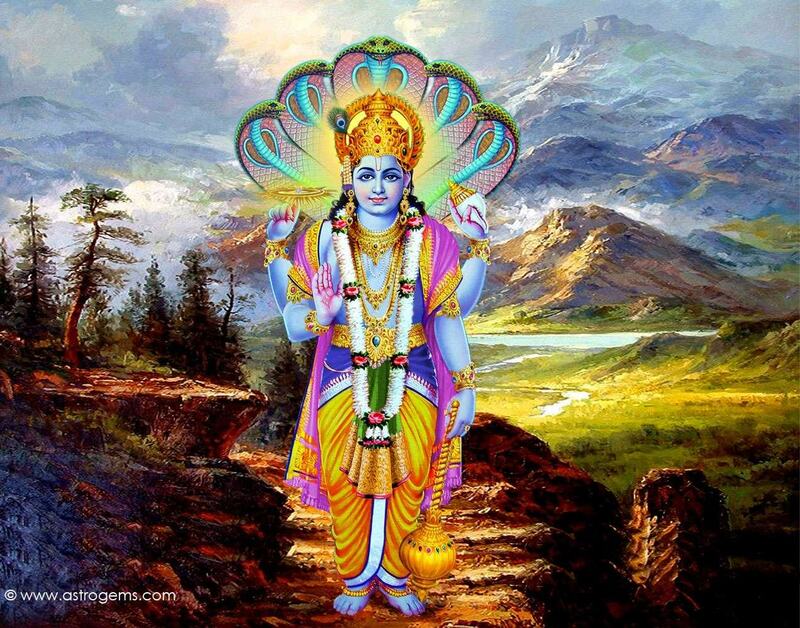 There are others in this world who are in your state, who consider only me as the protector. Will those people not be comparable to you? punakkAyA vaNNanE unnaip piRar aRiyAr – there is none who knows you other than me, who will not leave your beautiful divine form even if you turn out to be one who tortures instead of one who protects. punakkAyAvaNNanE – Oh one who has the complexion of kAyAmpU (a type of flower with purple colour) which blossoms in its own land and who has its qualities of softness, coolness, fragrance etc! punakkAyAvaNNanE! unnaip piRar aRiyAr – will those who consider their physical forms as their souls, know you? Will those who feel that they are totally independent, know you? Will those who worship other deities, know you? Will those who worship you for obtaining other benefits, know you? Will those who observe other means to attain you, know you? Or will rishis, who meditate on your basic nature, know you? en madhikku viNNellAl uNdO vilai – in this samsAram where everyone puts in his efforts to attain anything, I am worshipping your divine feet as the means for attaining you. Do all the entities in SrIvaikuNtam (vishvasksEnar et al) have the total belief that my intellect has in you? The implied meaning here is that since they (entities in SrIvaikuNtam) have already attained the goal, the firmness that AzhwAr has in emperumAn as the means will be lacking in them. AzhwAr says “I have no objection to the fact that they will know your svarUpam, rUpam etc (basic nature, divine form etc). But even if they all get together, they cannot equal me. They dwell in a place where enemy (karma, deeds from past) is non-existent whereas I am staying in samsAram where karma rules in a cruel way with the firm belief that ‘you are the protector’. Will they be comparable to me? Could the lotus in pond be compared to one which blossoms from a clay oven? Could daylight be comparaed to lamp in the night?” Hasn’t nammAzhwAr too mercifully mentioned in thiruviruththam 79 “sIdhanaiyE thozhuvAr viNNuLArilum sIriyarE” (those who worship the cool emperumAn without any break are superior to those in SrIvaikuNtam)! enakkAvAr Ar oruvarE – thus, since there is no one in both vibhUthis who could be compared to me, who is there who could be compared to me? Since this pride comes not out of ahankAram (vanity) but due to connection with emperumAn, this is not considered as a fault but is acceptable completely. We will take up the 52nd pAsuram next. This entry was posted in iyaRpA, nAnmugan thiruvandhAdhi on August 8, 2018 by T N Krishnan.